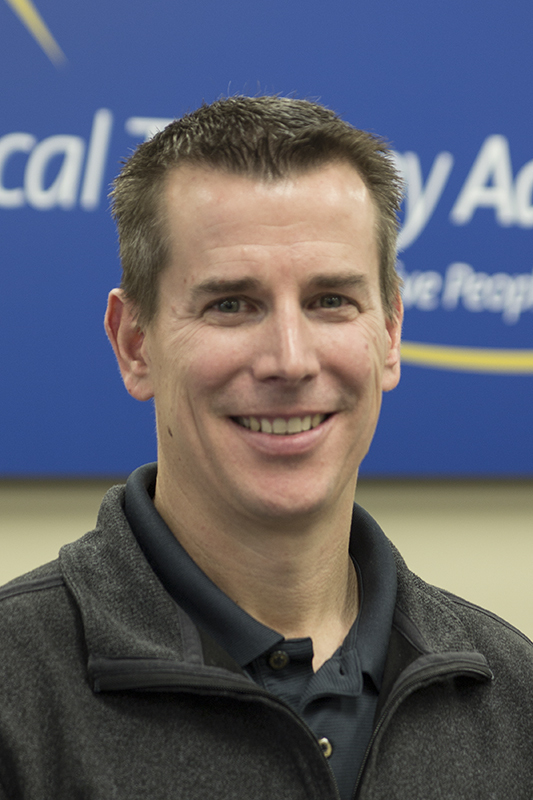 Physical Therapist and Athletic Trainer Joe King opened Physical Therapy Advantage in April of 2007, determined to translate his lifelong interest in the sciences and human anatomy into compassionate and effective care for his patients. He was introduced to the health sciences by an older brother of his who is also an athletic trainer. When Joe was in high school, he suffered a severe orthopaedic injury which exposed him to long bouts of physical therapy. He was intrigued not only by what was being done to heal his physical pain, but also by the overall approaches to care from different health professionals. He learned what made him feel better mentally and emotionally as well as physically, and studied the differences in how his health professionals approached him and his treatments. “That’s why it is so important to me now to treat patients like I wanted to be treated,” he explains. He built his whole practice around evidence-based compassionate care and his clinic has a reputation for that, with clients experiencing more one-on-one time with their physical therapists and a significant education component so they can be empowered to help with their healing. Joe has a Bachelor’s Degree in Athletic Training from the University of Nebraska -Lincoln and a Master’s Degree in Physical Therapy from the University of Nebraska Medical Center. worked in the western suburbs for more than 12 years, when Joe decided where to open his own practice, he realized he didn’t have to go far from home. In April of 2007, he brought his respected hands-on physical therapy services delivered in a one-on-one setting to the Fox Valley. Joe has 19 years of varied experience treating collegiate and high school athletes, orthopaedic patients, and pediatric clients in athletic medicine and outpatient physical therapy settings. He also has a special interest in pediatric sports medicine and functional foot orthotics. A life-long learner, he is equally at ease treating premature infants with special needs or treating marathon runners. Through the years he has also acquired experience in the fabrication of foot orthotics, myofascial release, cerebral palsy, running techniques, pediatric milestones, lower back dysfunction, pediatric sports injuries, shoulder pathologies, patello-femoral and lower extremity injuries, Mulligan techniques and Augmented Soft Tissue Mobilization (ASTYM). Julie Crane has a Bachelor of Science Degree in Physical Therapy from the University of Wisconsin-Madison and a transitional Doctor of Physical Therapy degree from the Ola Grimsby Institute. 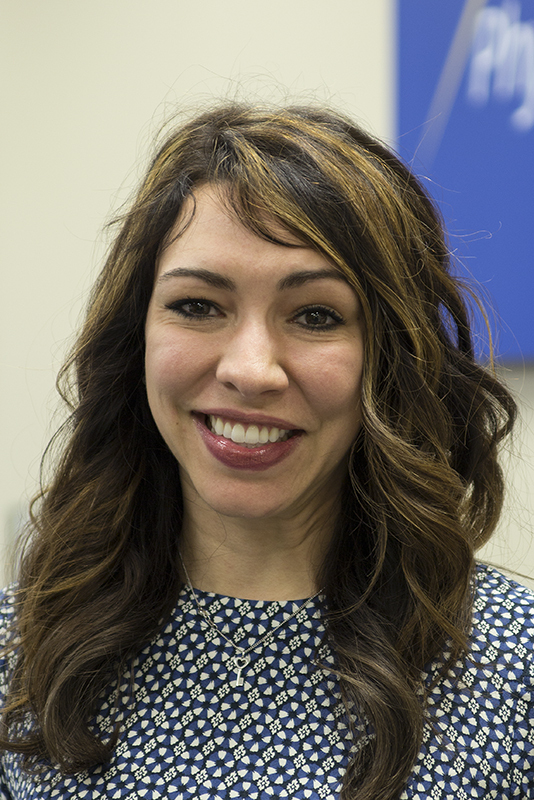 She joined the team at Physical Therapy Advantage in March of 2009. Julie oversees our vestibular rehabilitation therapies. Her manual training emphasizes exercise prescriptions. She also has experience in Pilates which she incorporates into her practice. Julie lives in Batavia with her husband and three children. 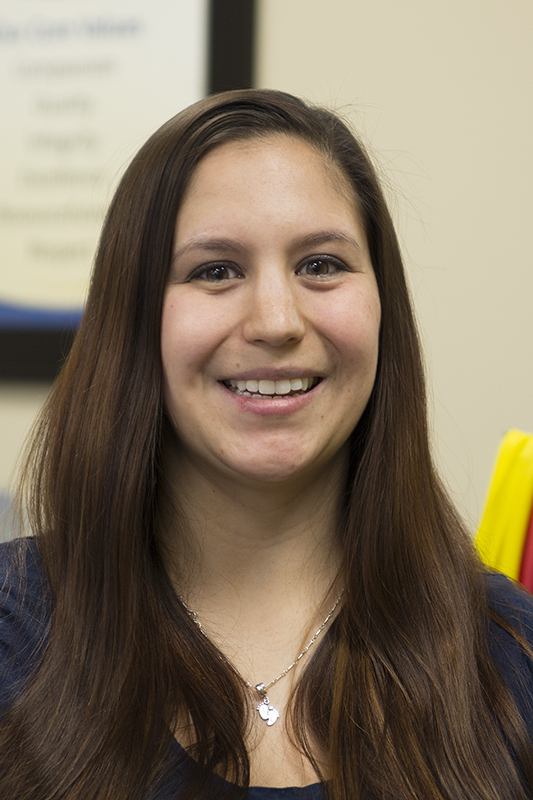 Shae Phillips graduated from Hardin-Simmons University in 2013 with her doctorate in Physical Therapy. Since graduation she has practiced in several settings including outpatient orthopedics, home health, schools, and skilled nursing. Shae lives in North Aurora with her husband and 2 young children. In her free time she enjoys exercising, reading and spending time with her family. 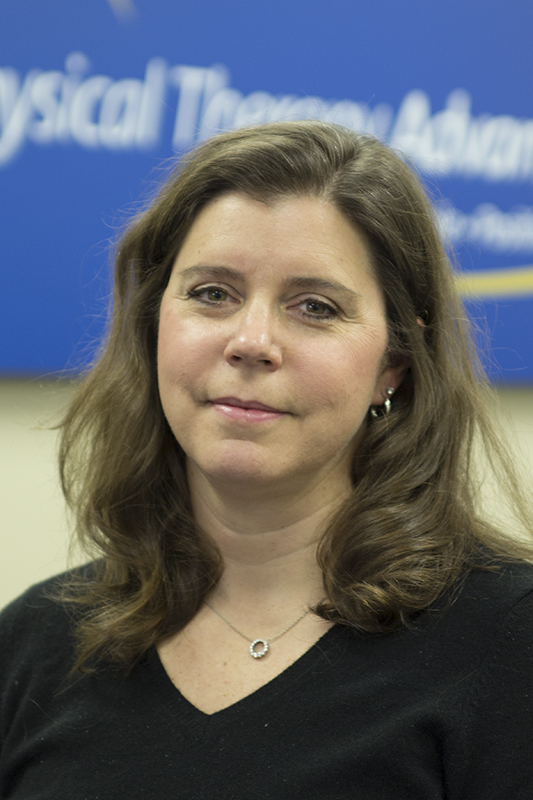 Jen Overby joined Physical Therapy Advantage in 2015 as our business manager. She graduated from DeVry University with a Bachelor of Science in Business Administration and concentration in Project Management in 2009. When Jen is not working she enjoys camping, going for walks and hikes, and spending time with her husband, daughter, son, and dog. Lily Jenkins joined our team in October 2018. She graduated from Waubonsee Community College in 2017 with an associates degree in Health Care Interpreting. She is also a Licensed Massage Therapist since 2016. On her free time, she loves to go for walks and spend quality time with her family. She is currently expecting her first baby. Corey McCreedy is currently doing her undergraduate work at Aurora University. She is majoring in Exercise Scient with a minor in Spanish. Corey also seves as a the President of Aurora University's Human Performance club. She aspires to furthe rher education through Graduate School and receiving her Doctor of Physical Therapy degree. During her free time, Corey enjoys outdoor activities, traveling, participating in co-ed softball leauges, and playing with her dog, Tyson. Kelsey Jarnell is a Nutrition and Dietetic student at Northern Illinois University looking to graduate in May of 2019. She hopes to further her education and attend graduate school to receive her Masters degree in Nutrition and become a Registered Dietitian Nurtritionist. When Kelsey is not working, she enjoys volunteering, cooking, trying new foods, and spending time with family and friends. Jorge Ochoa graduated high school from Marmion Academy in 2011 and obtained his associates of art and science at Waubonsee Community College in 2015. He is currently a Senior at Aurora Univeristy majoring in Exercise Science and minoring in Physiology and Physchology. He will graduate with his bachelors in May 2019 and will attend the Doctor of Phyiscal Therapy Program at Rosalind Franklin shortly after. In his free time, Jorge likes to expand his culinary palate at various restaurants, cafes, and food trucks. He also loves to work out in many disciplines such as rock climbing, amatuer arm-wrestling, powerlifting, hiking, and bodybuilding. Jorge's career goals are to become a Doctor of Phyiscal Therapy, certified personal traininer, and learn how to professionally coof form culinary school. Cristina Carbonara is a nursing student at Northern Illinois university and plans to graduate in May of 2020 with a BSN. She actively participates in the Student Nurses Organization at Northern. Cristina enjoys babysitting and dog sitting. As the medical field continues to advance in its practices, Cristina is thrilled to see the ways in which she can actively participate in healthcare. Christian Carrera is currently a senior majoring in Exercise Science at Aurora University. After graduating in May 2019, Christian hopes to further his education, and attend graduate school for physical therapy. When Christian is not working, he enjoys spending time with friends and family, hiking, and playing guitar. He also enjoys anything sports related, traveling and meeting new people.